Seattle Speaks Up would like to thank the owners and developers of ADA’S TECHNICAL BOOKS & CAFE, at 425 15th Ave East, for providing a great example of how to build to fit the height and scale of the surroundings. The owners of the property, Danielle and David Hulton, chose a design by architect Jeff Pelletier at Board and Vellum, and the project was constructed in 2013 by Model ReModel. The design preserved the older building in front, which was an integral part of the 15th Ave East streetscape. The older building had been a 1920’s Craftsman-style single family home that was later converted into a bookstore, but had fallen into disrepair. In addition to restoring the older building, Board and Vellum’s design allowed for new construction in back to create more leasable space without detracting from the street’s sunny, low-rise charm. The owners could have torn down the much-loved older building and replaced it with a new, bulky 4+ story building that would have towered over its neighbors and cast much of the street into shade. This would have had a very negative impact on the neighborhood. Instead, they made a conscious decision to restore and preserve – to build with the community in mind – rather than demolish and maximize profits. We wish more owners and developers would show respect for existing neighborhood character the way that this owner, architect, and builder did! We encourage everyone to go see this lovely new space and give these responsible members of our community a lot of business. Thank you, Ada’s – the community celebrates you! 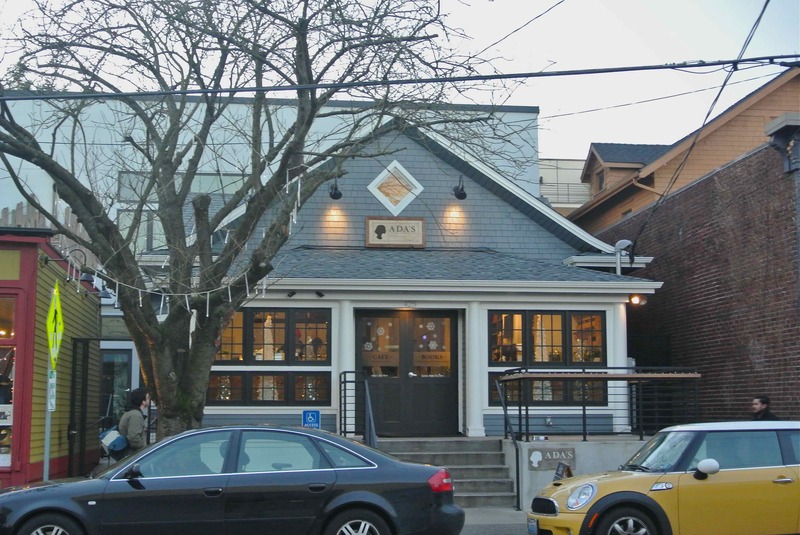 Residents of lowrise neighborhoods near Ada’s Technical Books and Cafe, on 15th Ave. East, are very appreciative that the owners chose a building design that does not loom over its neighbors and cast the street into permanent shade. Please contact us to tell us about new development in scale with its surroundings in your neighborhood: seattlespeaksup@gmail.com.